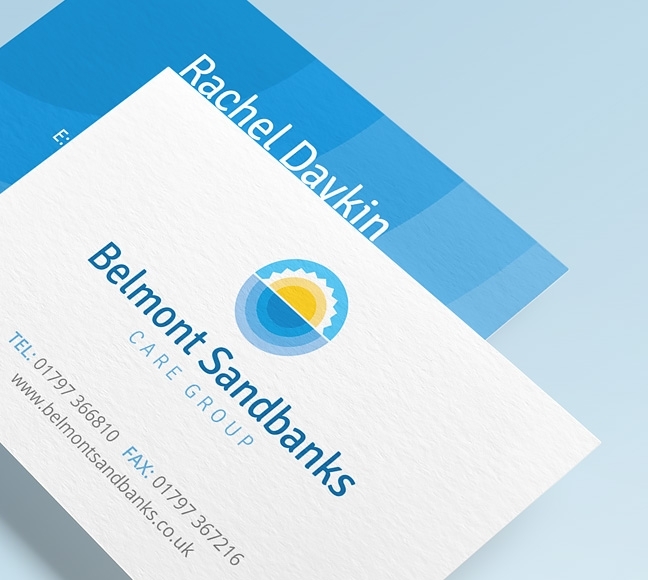 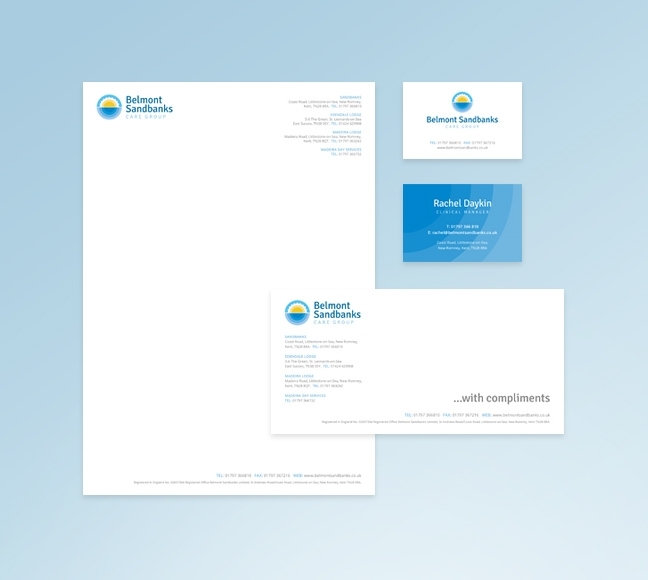 Brand re-fresh for a Kent based Care Group. 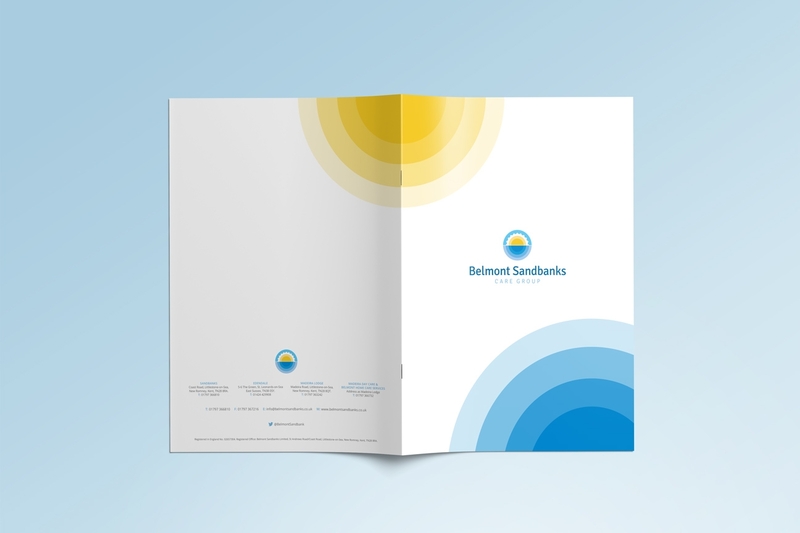 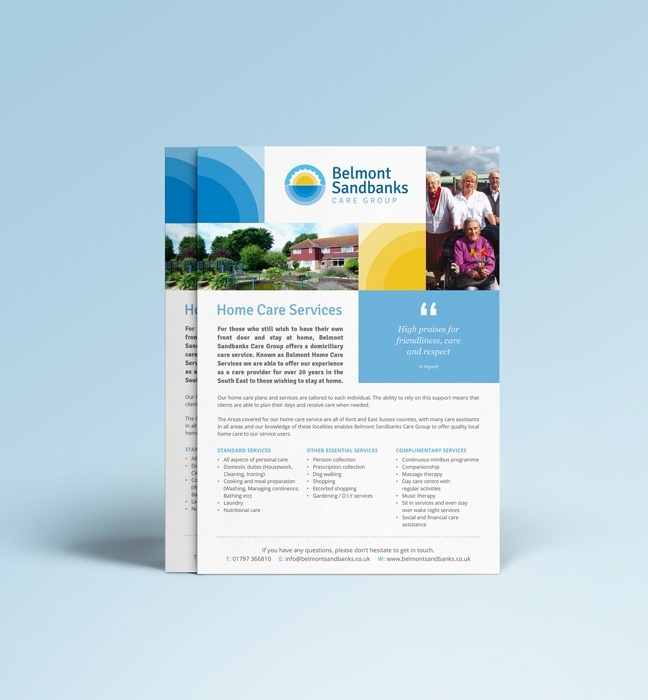 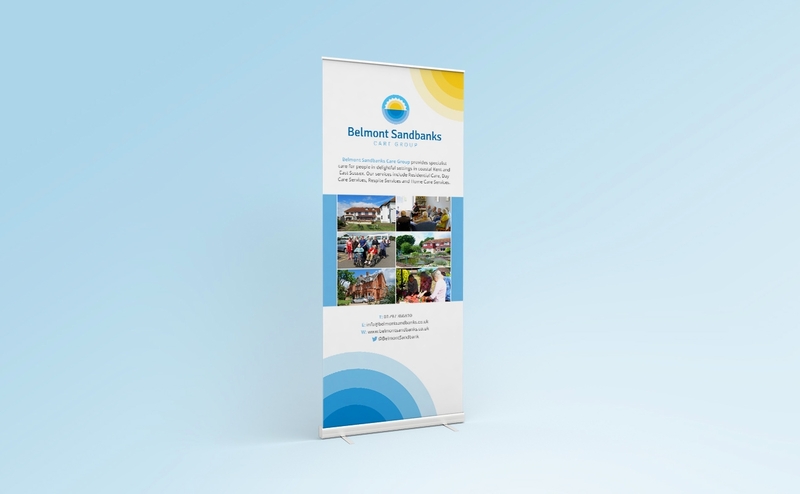 Belmont Sandbanks Care Group has been offering support in Kent and the surrounding areas for over 20 years. 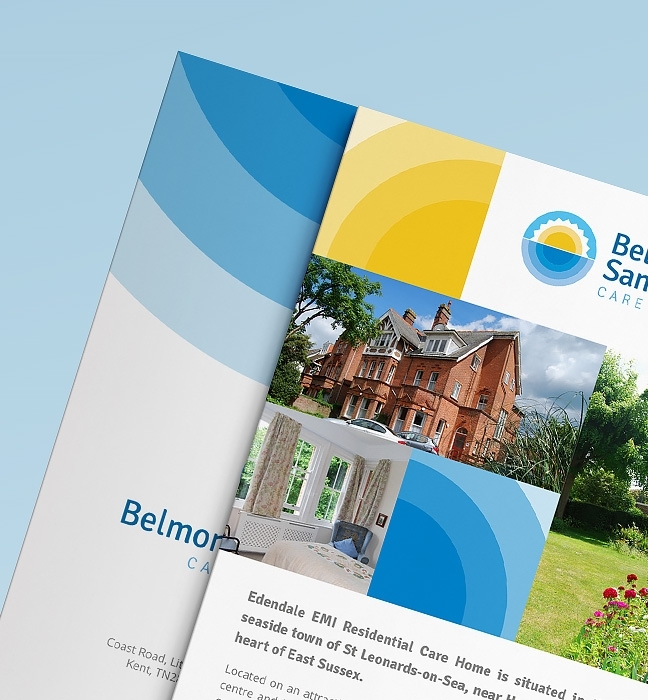 They provided specialist care for the elderly and those with mental health needs via a wide range of services, including; residential homes, day centre, sensory garden, activities and home care amongst others. 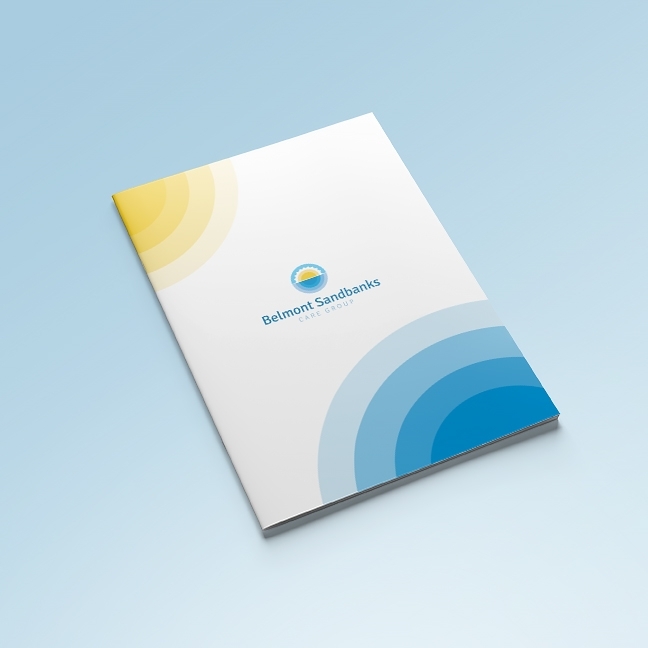 I designed a brand that was recognisable to the existing client base but incorporated a bright, positive and more approachable feel. 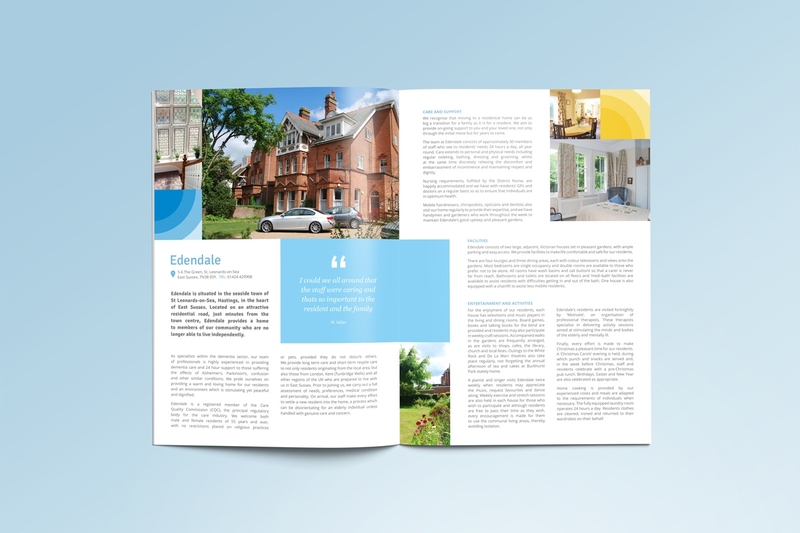 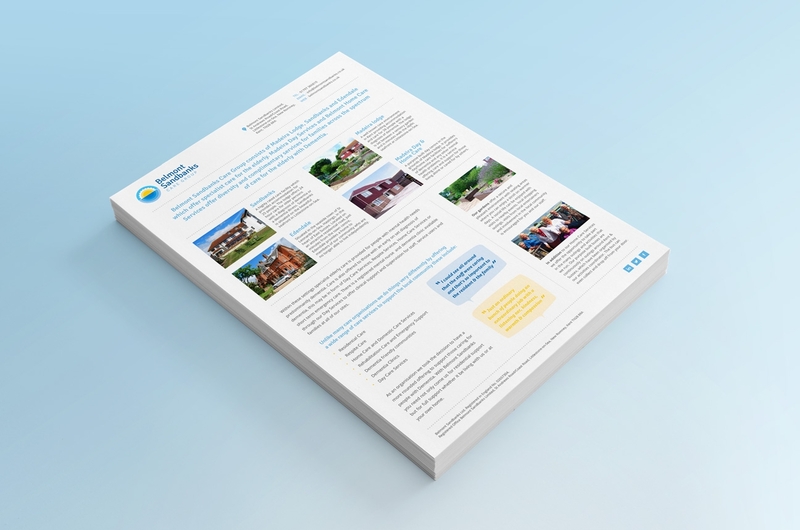 The printed literature included stationery, a 16 page brochure, leaflets, adverts and roller banners. 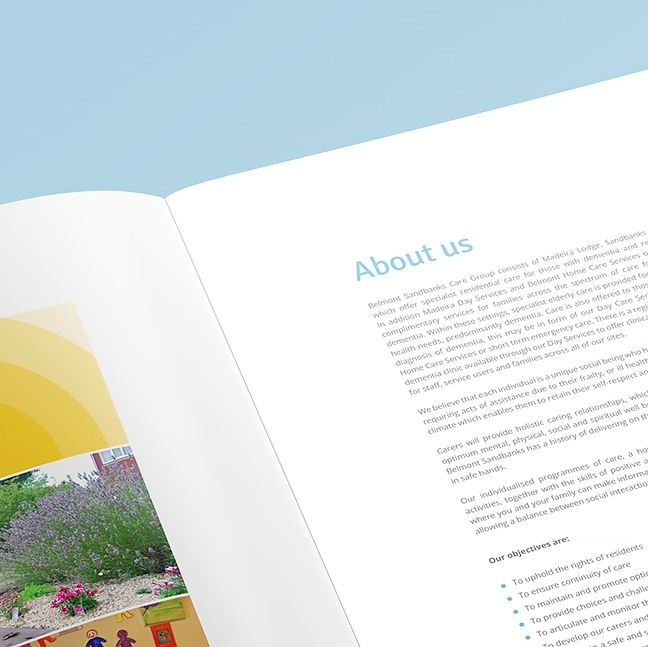 I combined photography, brand marks and customer testimonials to really showcase what the group has to offer.